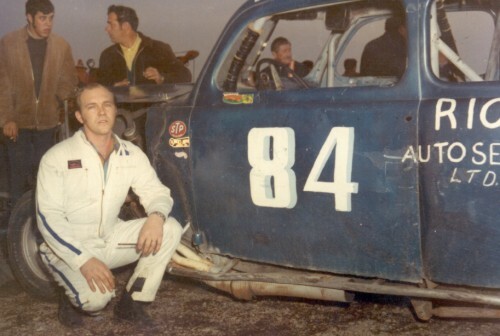 Barton Motorsports roots go back to the early sixties when Keith decide to purchase his first race car with his brother Bill. They went to the local junk yard and purchased a jalopy as they were called in those days. He and Bill planned on taking turn driving. They raced in the last race of the season and Bill won the coin toss and got to try it first. During the off season Keith's sons Brian and Steven decided to play sandbox with car and filled the engine with sand. 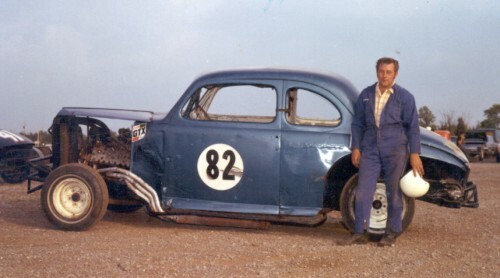 That marked the end of Barton Motorsports for Keith until the end of the sixties. Bill continue to race with Keith's help. 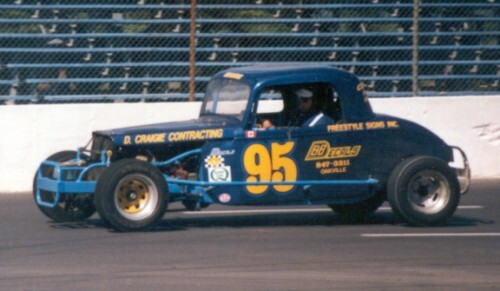 But by the end of 1967 Keith decided he wanted to try again so he purchased a hobby car (now know as the Canadian Vintage Modifieds). Things started out slow for Keith it wasn't til 1973 when things started to go well. He had a good crew of guys and a sponsor like Rick Thorne of Oakville Toyota to help. 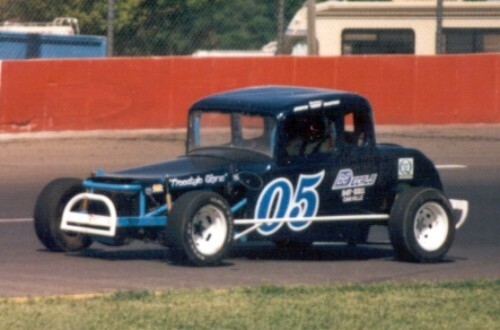 He started to win on a regular basis and finished in the Top 10 in points. In 1975 Keith and his crew brought out the car they called THUD and won right from the get go. They won the first 5 night in a row. 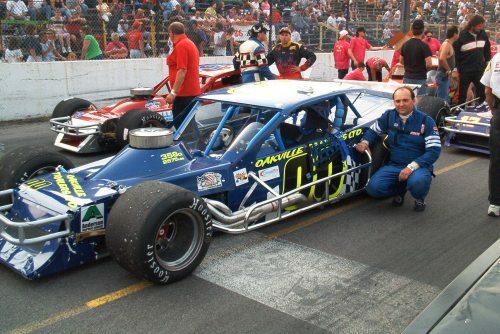 Running at Speedway Park on Fridays and Flamboro Speedway on Saturdays they won back to back nights 2 weeks in a row. On the third week things look good winning Friday night but on Saturday the streak came to an end. That season they won the End Season Championship making it one of the most exciting season to date.